Alasdair Gray is Scotland's best known polymath. Born 1934 in Glasgow, he graduated in design and mural art from Glasgow School of Art in 1957. After decades of surviving by painting and writing TV and radio plays, his first novel, the loosely autobiographical, blackly fantastic Lanark, opened up new imaginative territory for such varied writers as Jonathan Coe, A.L. Kennedy, James Kelman, Janice Galloway and Irvine Welsh. It led Anthony Burgess to call him 'the most important Scottish writer since Sir Walter Scott'. His other published books include 1982 Janine, Poor Things (winner of the Whitbread Award), The Book of Prefaces, The Ends of our Tethers and Old Men in Love. 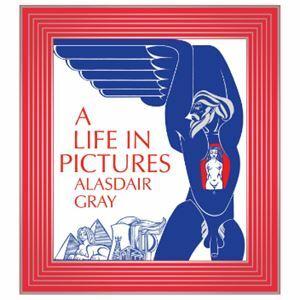 In Alasdair Grey A Life in Pictures, with reproductions of his murals, portraits, landscapes and illustrations, Gray tells of his failures and successes which have led his pictures to be accepted by a new generation of visual artists.